3D technology is being used everywhere from theatre to offices to schools for different purposes. With the emergence of the technology, it has become easier to reflect objects in the 3D world at home as well using the best 3D LCD projectors. 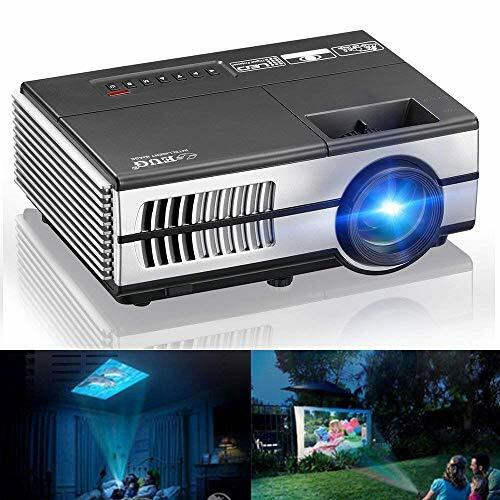 These projectors are good to set up a home theatre to have all the fun of theatre at home while enjoying the 3D movies being played on Blu-ray player connected with a 3D LCD projector. A 3D LCD projector might not deliver a great result on a 42” screen but when it is used at a bigger screen, the results are really amazing and appreciating. With the best 3D LCD projectors, teaching can be made realistic, presenting real objects in office meetings can come out to be superb, and play 3D games with friends is all the way rocking. The great thing about the best 3D LCD projector is it is not limiting to 3D, just because it is made for a better output for 3D technology. You can use it for 2D as well and the quality will be mind-blowing when 3D LCD projectors are used for 2D display. These projectors come with a good resolution of around 1920×1080 while the lumens should be around 2000 to 3000. BenQ, Panasonic, Dell, Epson, and InFocus are a few brands to name that have the best 3D LCD projectors in the market. Gone are the days when LCD projectors were considered inferior to DLP projector. The tables have turned in favor of LCD projectors since a while and here are those top five projectors that support our statement. And don’t be surprised seeing all Epson projectors on the list as these projectors have earned their spots. The cheapest yet great projector among the five is Epson Home Cinema 2040, equipped with 3LCD projection technology. 2200 lumens and 35000:1 Contrast ratio is the core noticeable factors about this pro-movie projector. Built-in HD sound speakers eliminate the need for the external sound system. As per its connectivity, the usual options including MHL leave no scope of dissatisfaction. The greater sibling of 2040 is the Epson Home Cinema 2045 with similar features except the latter has Miracast support which places it on the advanced end. From the same Home Cinema series by Epson belongs to another technological gem namely Epson Home Cinema 3500. 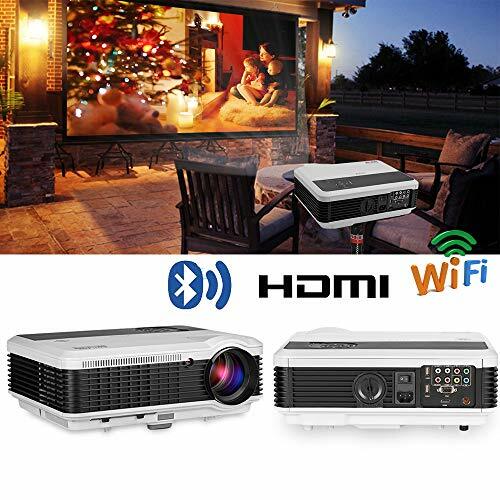 The projector can be said to belong to the expensive high-end category of projectors and offers premium features like Lens shift, 1.6x Optical Zoom, 3X Better Colors and 2 x 10W Built-in Speakers. 2500 Lumens illuminate the picture with great precision infused by 70000:1 Contrast ratio. 1080p is the native resolution of this projector, which is quite expected with such a price tag. Another one with a similar price tag is the Epson 5030UB is also on the list and offers some seriously good features. 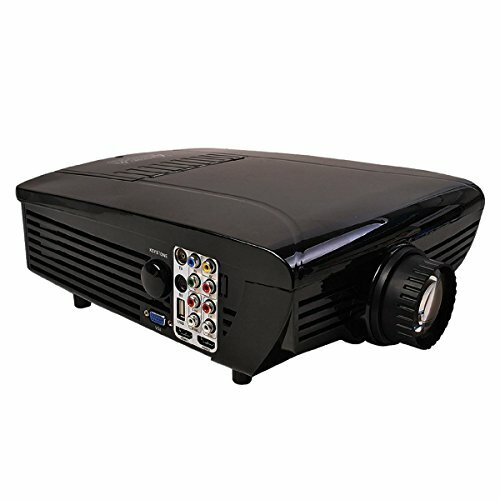 Being a 3D 3LCD projector, the picture quality is quite impeccable with a Lumen count of 2400 and Contrast ratio of 600,000:1. Additionally, its C-fine technology especially made for handling color reproduction is truly high-end and THX Display Certification denotes that the picture is accurate to the highest standards. Connectivity offered by this one is also quite usual including MHL. The one that rules this list is the Epson Home Cinema 5040UB with the advanced 4K enhanced 3D 3LCD picture. HDR for much brighter and vivid display has been inculcated at chip-level of this projector and the Wider Color Gamut enriches your sessions via adaptive Digital Cinema Mode. Talking about the numbers, 2500 lumen count and a whopping 1,000,000:1 Contrast ratio is an unbeatable combination offered by few in the market. Now stream 4K content with absolute precision with the Epson Home Cinema 5040UB and become one of the few fortunate ones to own this projector.